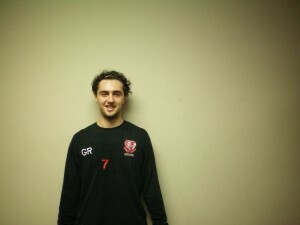 The 64th Member of the Soccer Fitness 20 MPH Club, as well as only the second member ever from our staff, Giancarlo successfully completed 2 separate, 4-second running bouts, at a speed of exactly 20 miles per hour, on Tuesday, January 24th, 2012. His achievement is even more impressive considering this was his first ever time running on our high speed treadmill. A member of Soccer Fitness’ Strength and Conditioning Staff since December of 2010, Giancarlo is also presently a member of the York University Lions Men’s Varisty soccer team, which won a CIS National Championship in 2010. We at Soccer Fitness would like to congratulate Giancarlo on his accomplishment, and are looking forward to many more productive years with him, both as an athlete and as Trainer!